With hotel developments increasingly having to adhere to new ‘green’ build techniques and practices and sustainability a growing concern worldwide, this year’s Hotel Show in Dubai will see a number of features and initiatives focused on the issue. 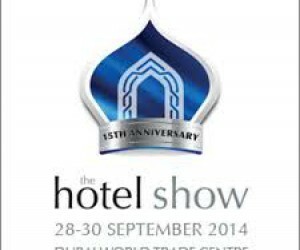 Partnering with the Italian architecture studioWT Project, The Hotel Show will introduce the ‘FUTURE HOTEL’ – sustainable design feature.Located in Hall 8, ‘FUTURE HOTEL’will showcase internationally renowned brands, their products, design concepts and future trend predictions for building design. Creations and videos with innovative solutions that demonstrate the application of latest technologies applied to architecture such as,climate protection solutions including ventilated facades articulated according to building orientation, surfaces that integrate various regenerative energy production methods, geothermic systems, photovoltaic and photocatalytic materials. Taking inspiration from the structure and functioning of cactus plants, the OASI Skyscraper is one of several new sustainable architectural design concepts that WT Projectwill presentat the Hotel Show. OASI’s most important property is its capability to collect rainwater. Both the façade and the surrounding structure feature organic shaped niches that help collect the rainwater to the bottom of the building where they are stored, purified and distributed for re-use. The Vision Conferenceat the Hotel ShowDubai 2014 will also feature speakers and sessions focusing on environmental and sustainable issues across both the hotel, hospitality and leisure industries. “The Hotel Show is committed to highlighting how design can support the environment and we encourage exhibitors to use the event as the international platform to not only launch their innovations, green and sustainable products and services, but we also have the perfect knowledge platform with the Vision Conference to share knowledge, expertise and ideas through our international speaker line-up” says Christine Davidson , Event Director. 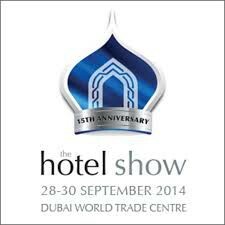 Karcher, Emirates Transport and ABB are just a few of many exhibitors that will present their new sustainable product and services at The Hotel Show.